You’re looking for a new kitchen that’s in style. One that suits your personal lifestyle and design choices. It can’t be just any kitchen, you need inspiring designs, a kitchen that meets your budget and is built to the highest standards. A kitchen that’s right for your life. We understand every detail is important and have brought together this collection to create your own perfect kitchen. LifeStyle offers a comprehensive range of handles to suit your kitchen design. 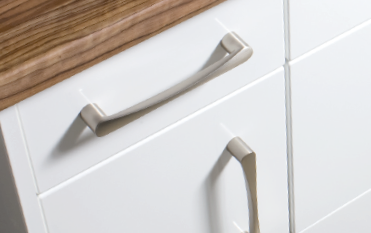 Handles can really enhance your kitchen, so we offer a range that can really complete your kitchen. Your kitchen choice is personal, at LifeStyle we believe that we have something for everyone. We offer modern & traditional styles in a range of colours and finishes for everyones taste. 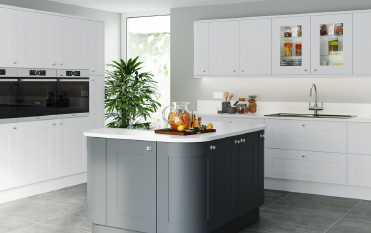 A stylish range of kitchens manufactured in the UK to the highest European standards by Crown; a British owned family company with over 70 years manufacturing experience. 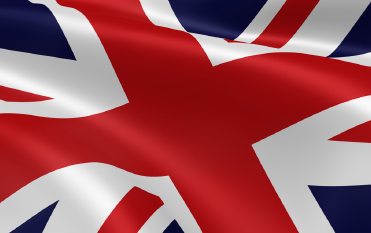 Wherever you are in the UK there is sure to be a LifeStyle retailer nearby with a wealth of experience to help you plan and design your new kitchen. Find your nearest retailer. All lifestyle kitchens are supplied with soft-close doors & drawers. Adding curved doors to your base or wall units creates a softer overall look, available in most styles. Choose glass doors or dresser units to store and display your beautiful glassware and crockery. Tall units and wall units are available in two heights and a range of widths for maximum design flexibility. Create casual seating areas by extending worktops off base cabinets or island units, add some stools and voilà! Island units create a stunning and practical centrepiece to any kitchen. Designed to store bottles of wine elegantly, but also useful for storing bottles of water or soft drinks. 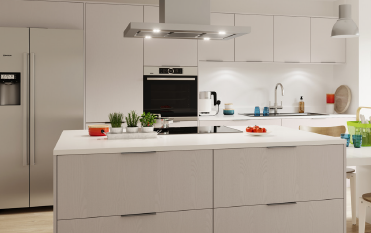 Energy efficient LED lighting can be added under the worktops, around the plinths, under and above wall cabinets.